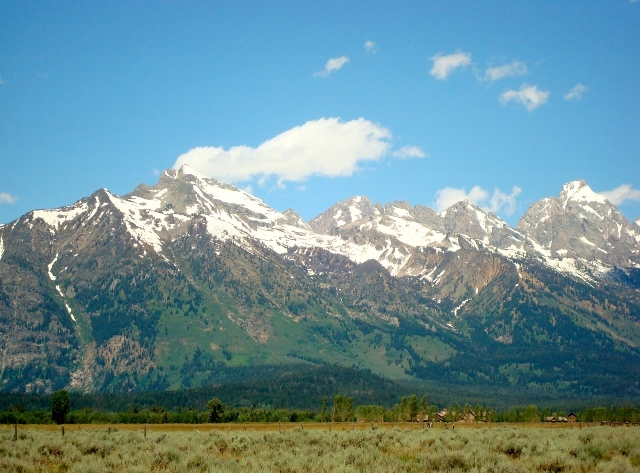 After race #3 in San Francisco, we traveled to Salt Lake for a day then onto Jackson Hole, WY to visit a friend of ours, Jo Ann DeMartini, who is spending the summer at the base of the magnificent Teton Mountains. We enjoyed a few days seeing the area and meeting up with friends from Sarsota. 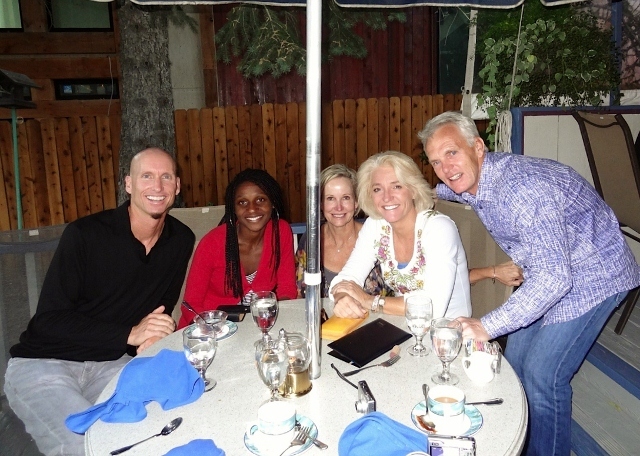 Here is a photo after our dinner at the Blue Lion (L to R – Sekyen, Vicky, Jo Ann, and Kevin). Vicky and Kevin are getting married in Jackson Hole this weekend. We then traveled to the east coast to Cape Elizabeth, ME to visit my elder brother’s family and train on the roads of Maine up and down the course of the upcoming 10K race (that was part of my tour in 2009), The Beach to Beacon. It is a beautiful time of year to visit the shores of Maine. I stopped into my youngest brother’s place for a couple of days in Massachusetts on my return to Sarasota. Now I am packing for the long trip to India and then onto the conclusion of “The 5 Wonders Under 25 Minutes” in Petra, Jordan. The purity of the Jackson Hole and Cape Elizabeth air quality will be in stark contrast to our upcoming race #4 in one of the world’s worst cities for air quality – New Delhi, India. We leave on Sunday to race at the Taj Mahal located a few hours south of New Delhi in Agra, India. The Taj Mahal is on the New Wonders of the World list and should make for a challenging “adventure mile.” I hope my lungs are ready for the shock.